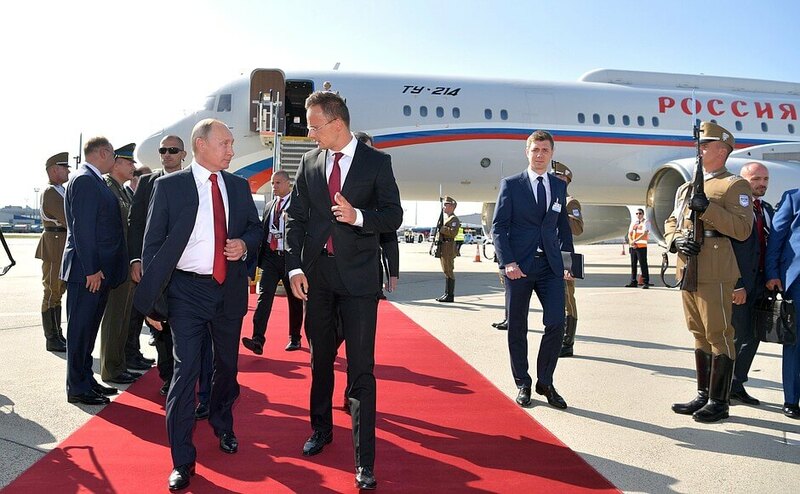 Vladimir Putin arrived in Hungary to participate in the opening ceremony of Judo World Championship 2017. Vladimir Putin arrived in Hungary to participate in the opening ceremony of Judo World Championship 2017 in Budapest. Visit of the Russian President coincides with the opening ceremony of the 2017 World Judo Championships, which is taking place in Budapest. Vladimir Putin is honorary president of the International Judo Federation. The championship is taking place on August 28 - September 3. The competition program of the championship includes 7 disciplines for both men and women in the variety of weight categories, and team competitions. A total of 795 athletes from 134 countries will take part, including Russia’s 30-strong team. During his visit, President Putin will also hold meetings with Prime Minister of Hungary Viktor Orban and President of Mongolia Khaltmaagiin Battulga. 0 Comment to "Vladimir Putin arrived in Budapest"